I am getting a lot of e-mails and messages from you guys with questions about racquets and strings. If you do not mind I will post them here from time to time. I will call it Letters to Tennisnerd. This message from Rob, deals with what we have all gone through (or are going through) at some point: racquet confusion. Since it’s hard to try out the demos with different strings in Europe, I would be keen to read your opinion. I have been playing the Youtek (and Youtek IG) Radical MP for quite a few years, but I would like to get something of comparable balance and feel, maybe a tad more powerful, but a bit heavier with slightly larger swing weight. I have been looking at the Blade CV 98 18×20. It s a very nice groundstroke racquet, but i felt it lacked touch. I typically played with the good ole’ Big Banger at 24 kg, but the Blade demo had a cheap and soft wire. Is the touch lower than in the IG radical or is it just a string issue? It’s important to me, since drop volleys and drop shots are super important for my game. And it seems impossible to get a tester for a non-Yonex with my stringing of preference. I have also looked at the ProStaff 97 315 CV, but i felt the open strong pattern harmed my feeling of the depth of the shots. Could that also be an issue of strings? Is it a common complaint? Is it possible to overcome? I play with heavy spin, but I actually prefer low-spin, closed pattern racquets, since they give me better depth control and the spin is there anyway, given my western grip. Also, how do you differentiate between the Touch Prestige Tour and MP? I played with the MP and really like the control and touch and feel, but I felt it was a tad too demanding given that i don t play more often than two times a week these days, even though I am a 5 or 4,5 player with solid technique. Is the large head of the Tour not too much of a control and touch compromise? Is it a worthy demo? The HEAD IG Radical MP is a nice racquet, and it seems you enjoy the feel but find it a bit low-powered and would like a higher swing weight. Just by adding some lead tape at 12 o’clock on the racquet head could help you bump up the weight a bit, and get some more power. If you want to maintain balance you can also add some lead on the hoop. The IG Radical MP is a great platform racquet for customization so I think you will be quite happy with the response. The big brother, the HEAD IG Radical Pro, is also a very nice stick with more power, more spin and more plow-through. I have played with that one quite a bit myself and know a lot of advanced players who love that racquet. They pop up from time to time on second hand websites. But if you like close-patterned racquets I think this might have a bit too much “launch” for you. I did not personally like the Wilson Blade 98 CV and felt, like you, that I could not really “feel” the ball. This is of course a disaster if you are a player relying on touch shots! So it is definitely not only the string. I would say the same with the Wilson Pro Staff 97 CV . I could not really gel with it when it comes to feeling the ball on the string bed. String plays a part in this and also on launch angle, but not as much as the string pattern. I think the HEAD Prestige Touch Tour was a decent stick (I did not try the MP so I cannot really comment, but would guess they play close in feel) that did many things well, but it did not really shine at anything. I much prefer the HEAD Graphene 360 Speed Pro (read my review), which I am having a hard time letting go of. It has an 18×20 string pattern and offers a fast, yet stable performance. 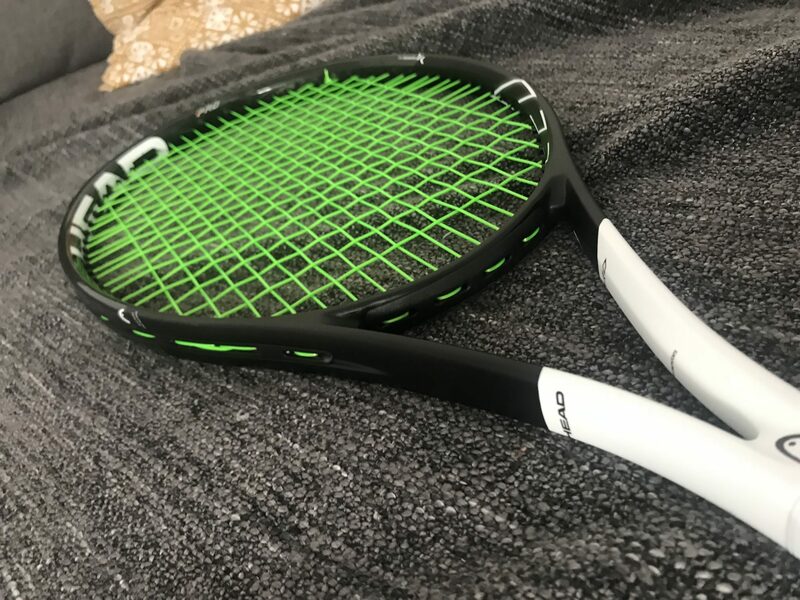 Like on the Touch Tour, the string pattern makes it a quite controlled racquet with a lower launch angle than most 100 sq inch racquets (Touch Tour is 99), which I really enjoy. You can swing fast and attack the ball, but still feel you are in control of its path. 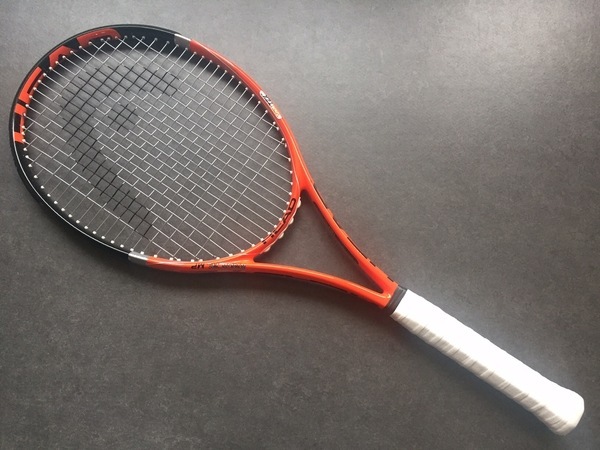 So except for adding some lead tape to your current racquet and playing around with string, I would definitely check out the Graphene 360 Speed Pro. I think it has all the characteristics you are looking for. Hope this helps and that you find a good setup for your game! Dear Tennisnerd, Great site, really enjoyed the article on Gregor. Watched him lose to the Joker a few nights ago. What does humidity do to those main strings? No rush rush for answer, but it must be a factor in these in American tournaments. Thanks Peter! You are a lucky man to enjoy great tennis live. Yes, they say humidity is usually not great for gut strings especially and they will likely fray easier and snap faster. I have never really experienced this myself to be honest and I live in a very hot and humid place. I would rather say that going from extreme temperatures can make the gut pop faster. Lets say you go from a AC cold to really intense heat or vice versa. But these things are usually exaggerated and nothing players should worry about. However, I would guess that if you did measure it, humid tournaments would see a faster breakage of gut strings than indoor tournaments for example. But it would not be a huge difference. If you can do something small to control the temperature of your racquet bag/string job, I say that you will likely increase the life span a bit. That is why a lot of racquet manufacturers have these climate controlled compartments for their tour bags. I’ve been having issues with elbow and shoulder pain and have found what I think to be conflicting information. It’s true that a heavier racquet with a higher swingeright doesn’t get pushed around, but a higher swingweight means a more head heavy racquet. But head heavy racquets are considered to cause more discomfort in comparison to a more head light one. Besides you mentioned that Djokovic’s new racquet is lighter because of the elbow problem he had. 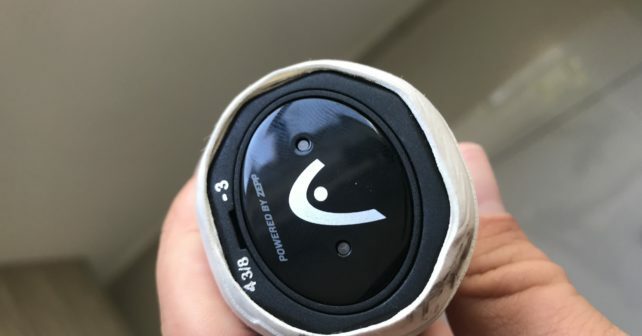 Online you can also find forum discussions about the so called “recoil weight” and when it is at least 175 the stiffest racquets and strings are very comfortable. Do you have any experience with customising your racquets for comfort? What do you know about recoil weight? Should I strive for a value of 175 but with a lighter racquet?